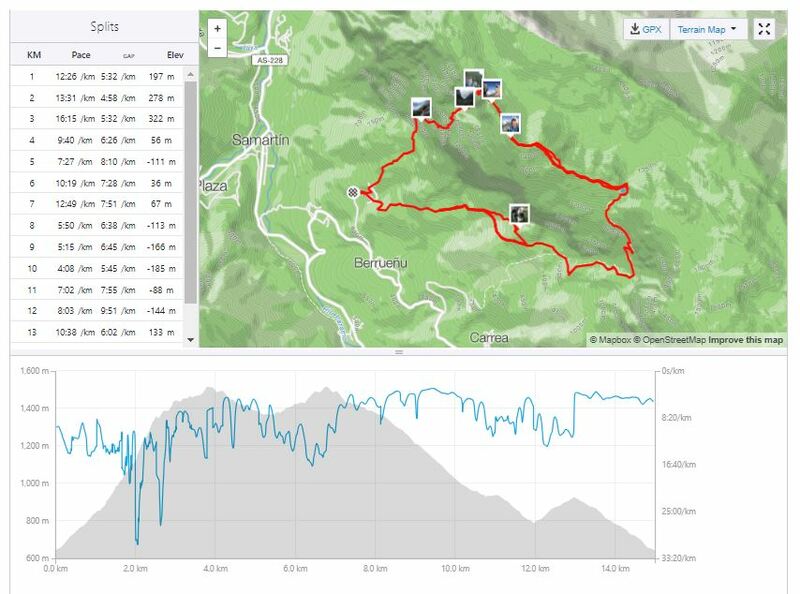 Sobrevilla to Pica Siella and back round – 15km circular route. Sept 2017. 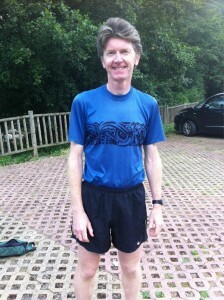 For my second go at this ‘running’ lark my choice of run and partner may seem even stranger. This time I picked a guy whose idea of fun is to do 100 mile races!! And my choice of run was pretty spectacular too. 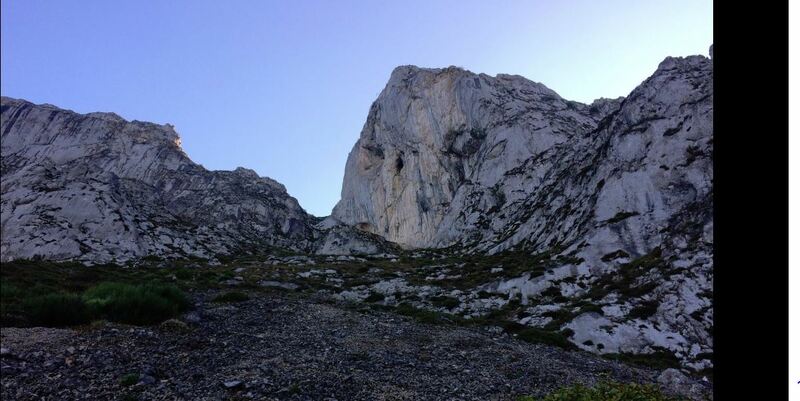 For a long time I had wanted to climb the huge gully that went up from the village of Sobrevilla and which passed a number of massive crags that I wanted to have a look at. So my reasoning was more about checking out future rock routes than ‘running’ (and I also figured that I’d be able to leverage plenty of rest by stopping to admire the rock). As we set off the hill seemed huge, and I’d chosen to wear my mountain boots which, although very light for boots were about 500gms each. I was figuring on protecting my bad ankle (and I know better now) but that meant each stride was lass energy efficient and by 10 minutes in I was panting!! The mist rolled in as we ascended leaving an eerie sensation and a slight feeling of being lost as we crossed a steep, blocky, rocky section only to emerge above the fog into the gully proper. 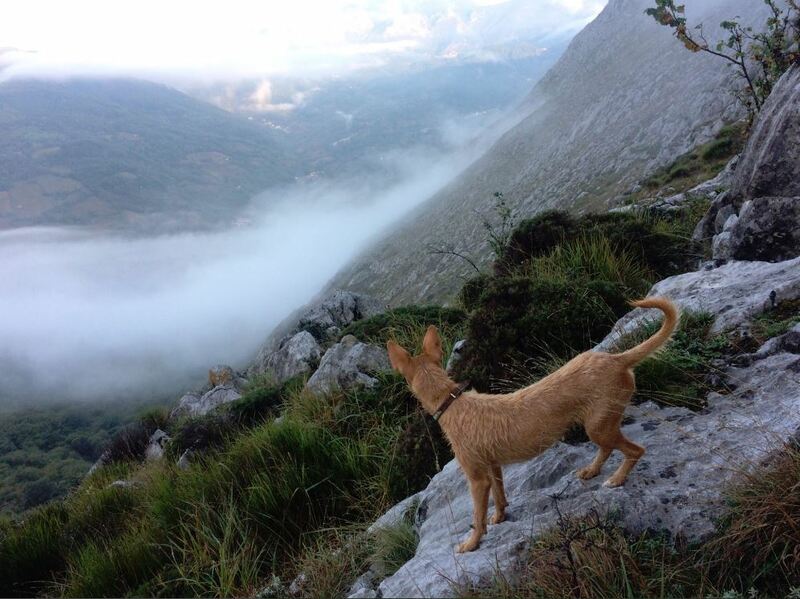 Chase the dog checks out the view as we climb out of the mist.. The gully was steep, very, very steep and progress wasn’t quick. Steep, with no path and small heathery clumps it wasn’t easy going but I was enjoying it and Ian said that at this level of steepness even world class runners wouldn’t run (which I was pleased about). And the close up views of the crags were as spectacular as I had wanted and my plan of stopping to check out the climbing lines was working to perfection. There were some very big pieces of rock and we passed right underneath them. 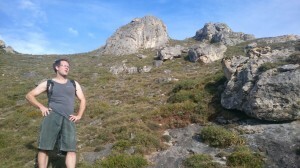 It was fun and the ‘rock-watching’ broke up the severity of the climbing. Nearing the top we had to decide on an exit – left or right. Left seemed easier but longer and right seemed more direct but with a ‘step’ that might prove tricky – it was obvious that we’d have to climb it but could we get the dog up there?? The step was a few metres of wet limestone but starting from a ledge so the consequences of a slip were not worth contemplating. Ian went first and made it easily and I, a bit more reluctantly, grabbed a slightly scared dog by the collar and shuffled along the small ledge. I proceeded to shove the dog upwards as my feet scrabbled and I grabbed onto loose turf with my free hand. After a minute or so of struggle she was high enough up for Ian to grab her collar and I, mightily relieved was able to gain the firmer ‘terra firma’ above the drop. We arrived at Pico Siella soon after and at 1550m it afforded incredible views of the valley and was well deserved of being the high point of our journey (twice as it turned out). We’d ascended over 800m (2400ft) already and although it hadn’t been quick it hadn’t been ridiculously slow either which I took some pride in. So we stopped briefly, set up a selfie with my camera balanced on the trig point, and got the all important summit shot. Finally, the real running started and Ian, showing lot of agility, started out across a thin ridge which led slowly down to a more defined path than we’d been following. This was fun and after about a kilometre of me stomping in my big boots after the much more rapid Ian we met up at a small resevoir/lake at the coll before the big descent started. ‘Hold there Ian’ I shouted as I fumbled for the camera to get another shot of the run…But I couldn’t find it! ‘Arse’ I cried, ‘Ian, I seem to have lost the camera’ and it wasn’t a cheap one! About £300′s worth of Panasonic seemed to have gone missing during our descent – my pack had been open and the probability was that it had bounced out during our decent. That was the probability but it seemed odd as my small pack was actually quite deep, so with heavy hearts (especially mine) we set up back towards Pico Siella scouring the path either side. I walked a lot more slowly than Ian and it was he rather than me that made it back to the summit and found, still stood in selfie position, the camera! I’d simply left it on the summit. We descended again and this time didn’t stop at the lake and headed on down the very steep switchbacks on a concrete farmers track which led directly up to the coll. With a ‘I’m going to go a bit quicker on this bit’ Ian blasted off. Once again his agility and speed left me standing and I kept up as best as I could as we descended about 400m in around 2km. Once again i was happy that I vaguely kept up but my big boots certainly didn’t aid me much. We met up at the bottom and started to descend, less steeply, a series of muddy tracks back towards the car. Unfortunately (for Ian) we picked up a couple of ‘passengers’ on the way in the shape of two beautiful mastin puppies who followed us for about a kilometer downhill. However, when we realised the wouldn’t go ‘home’ I volunteered the more experienced runner for the duty of leading them back to the field we’d first seen them in. I chuckled to myself plodded on downwards, tiring, and expecting to see Ian on my shoulder quite quickly. However, I’d made it a lot further than I thought I would and when Ian did catch me he was out of breath ‘Man that was grim’ he said ‘ that track I took up was muddy as hell and it was longer than I thought. I grinned and said something about ‘good training mate’ and we finally exited the muddy forest track onto a tarmac’d road and I knew that the car was just around the corner. 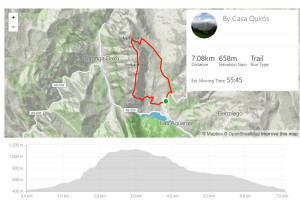 This entry was posted in Running Blog and tagged Asturias, casa quiros, CORDILLERA CANTABRICA, holiday cottage, holiday rental, holidays, long distance running, mountain running, off-road running, running, tourist info, trail running, travel on February 10, 2019 by admin. I was never a runner, I’ll state that in advance (and you’ll probably see by the foto). 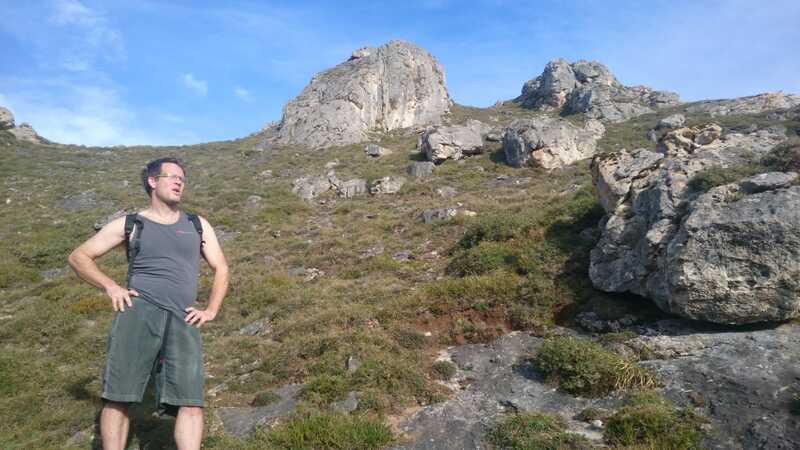 So when my friend Tom, after a slightly heavy night, suggested a ‘quick jog’ across the prominent ridge that dominates the skyline above Casa Quiros (and on whose flanks sit the crag of Quiros), I was legitimately wary. Hungover and aware that Tom’s idea of fun was 40km fell races I was reluctant to say the least. However, Tom, who’d come over from our old village to visit us in our new house for the first time, insisted that he wouldn’t go too fast and that the bottles of wine consumed the night before were no reason to be afraid. Eventually I consented (still not sure why) and we set off. The first part was familiar and went OK; up the short road from the house to the tiny village of El Llano and then up the track I’d walked many times (normally with a heavy pack) up to the climbing area of Quiros. So far so good, the lack of a pack was good and the fact that runners actually seemed quite sensible and didn’t try to run up the super steep bit of the path. As we cut up above the crag the next incline hit me a bit harder – very, very tight contour lines and about 200m of slope meant that I was reduced to much puffing and panting but at least Tom hadn’t gone off and left me. Stopping at the ridge I took in the spectacular views; there was a ways to go but I was kind of enjoying it all the same. We moved up the ridge, the scavenging vultures (more numerous as we got towards the first mini-summit) wheeled about overhead and I hoped it wasn’t me they’d be feasting on. Luckily as we summited we had some good glugs of water and a bit less parched and headachey I got a bit of a second wind. The worst was over in terms of ascent and now it was more a case of picking the correct path along the broad ridge and making sure we didn’t fall off any cliffs. Luckily Tom knew what he was doing and where he was going and I followed him along some, admittedly narrow, sheep tracks which skirted the steepest sections of rocky outcrops and led gently downhill to a wide coll. Ahead was a second peak and Tom seemed keen but I hauled him back with a lame excuse (excuse the pun) and from the coll we set off very steeply downhill on a well marked path that led to an obvious track. Tom’s pace going down was quicker than mine and my knees groaned maybe worse than on the way up and once we’d both reached the path and he was sure I wouldn’t get lost Tom slowly but sure left me behind. I was thirsty, tired and a bit sore but it was mainly downhill on a wide track back to the village…as I cantered on I was beginning to realise I was even having fun…. 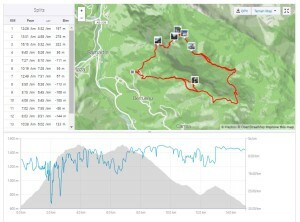 The route we took and the profile – a steep start for a beginner!! 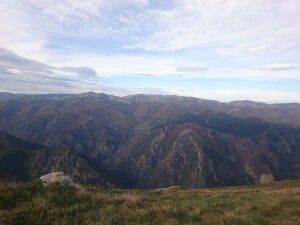 This entry was posted in Running, Running Blog and tagged Asturias, CLIMBING NORTHERN SPAIN, CORDILLERA CANTABRICA, getting fit, holiday accommodation, holiday cottage, holiday rental, off-road running, running, running in spain, spanish running, trail running, vacations on January 16, 2019 by admin. 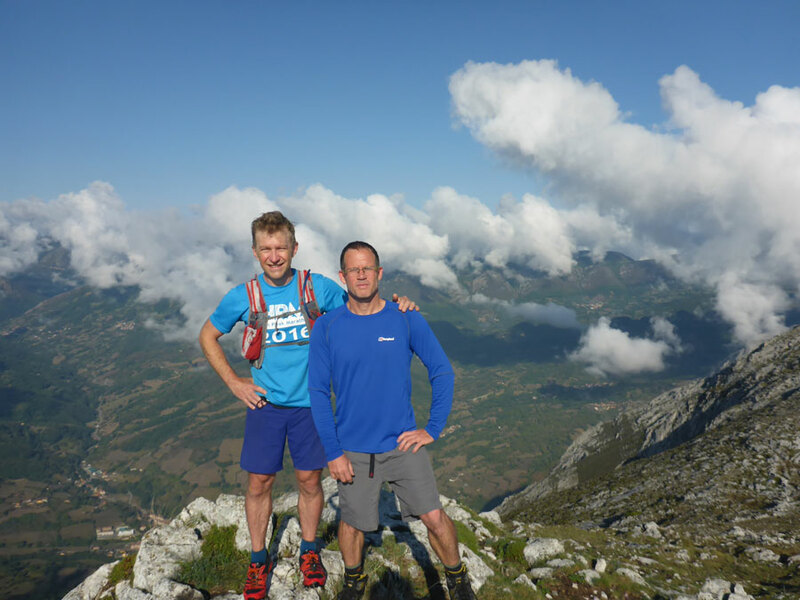 Record-breaking long distance runner and good friend of ours Patrick Devine-Wright came to visit us at Casa Quirós last summer. Naturally he couldn’t resist pulling on his trainers and getting out on the trails for a wee 60km run complete with 2000 metres of ascent. 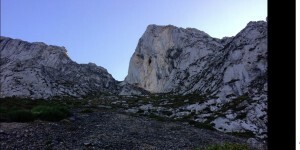 Here’s his account of his day out in the mountains here in the Valles del Oso. 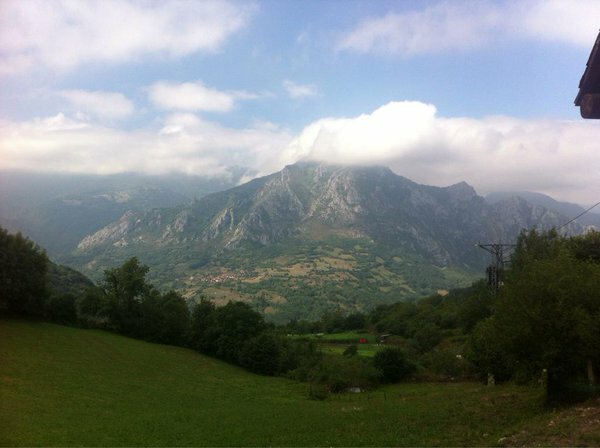 I start in the best way possible, a gentle downhill run along a car-free track – the Senda del Oso – from Caranga Baxu to Villaneuva. I jog loosely and lightly feeling my limbs warm up in the morning light, readying to the task of a long day out in the Cordillera Cantábrica. 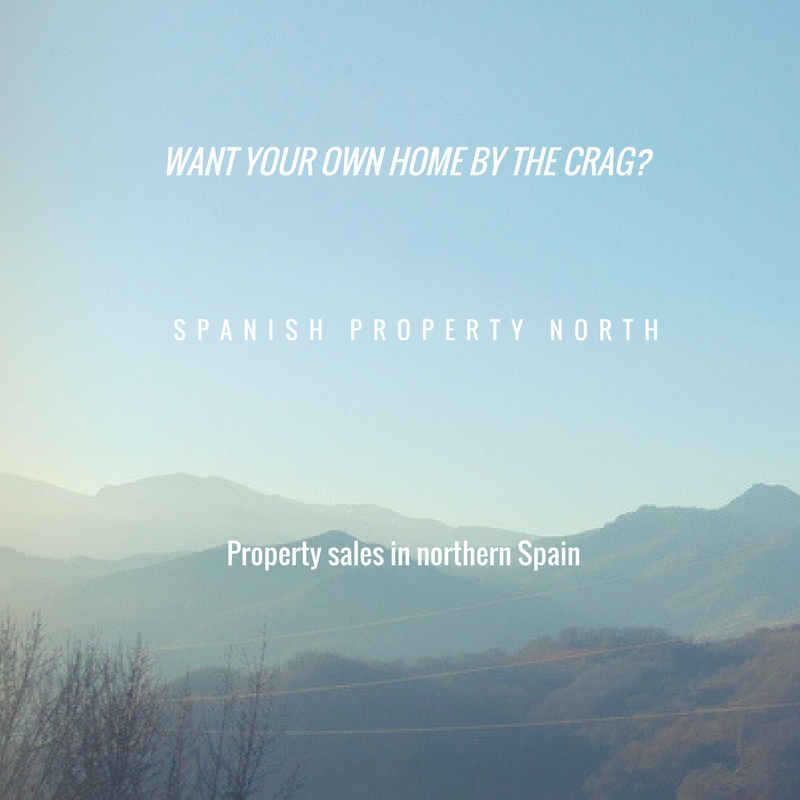 This is my first trip to these mountains, and with map in hand, I set out to explore new routes in the unfamiliar landscape of Northern Spain. 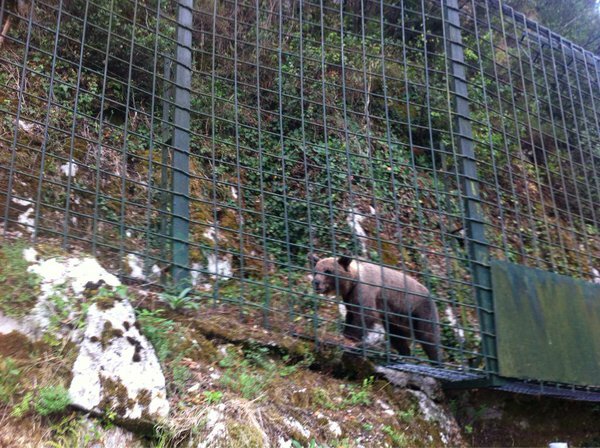 Half an hour later, there is some fencing on both sides of the track and suddenly a bear ambles alongside me on the other side of the fence! I have reached the Casa del Oso, a sanctuary for a family of orphaned bears, and a reminder that the hills I am running in are still wild in ways unfamiliar to the UK, with bear and wolf roaming at high altitudes. Running with bears – a first for Patrick! 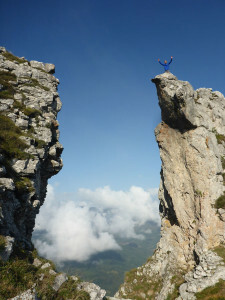 Having reaching Villaneuva, the next section is spectacular. After a steep road climb, I find the trail that ascends a gorge, following a rocky path winding upwards with significant exposure to my right hand side down to the river far below on the valley floor. I pass several families slowly walking along the path and pause occasionally to catch my breath and take in the magnificent views. Reaching the top of the gorge, the path enters shady woodland and soft trails, still climbing towards the tiny village of La Rebollada to pick up the GR106, my main footpath for the day. Villages are welcome stopping points for me throughout the run, as I seek out the local fuente (fountain) for some thirst quenching water and a respite from the ever increasing heat. Leaving the village behind, I have already climbed 700m and reach a broad grassy pass. There are high mountains all around but today they are shrouded in low cloud and all I can hear are the tinkling bells of cowherds along their slopes. The trail is mostly easy to follow, and clouds of butterflies in soft blues and yellows fly up from my steps along the grassy trail, leading me to the larger village of Bermiego and a long gradual descent into another valley. It is now four hours since I set out and I am seriously hungry and thirsty! I find a small bar and refresh with two bottles of fizzy pop, a packet of crisps and some mini-pastries available at the bar filled with tuna, an Asturian delicacy. Then it is onwards for the crux of the run – a long ascent past the tiny villages of Renderos and Ricabo towards my destination – the Puerto Ventana at an altitude of 1587m. 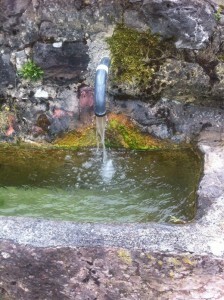 The heat is searing and I welcome the cool waters of the fuentes in each village as well as any shade that the path may bring as it winds ever upwards. The path meanders through purple heathers and leafy fern, with rocky outcrops looming overhead. Buzzards glide in the blue sky on thermals of warm air and eventually, I reach the top of the valley to find a lonely hermitage, locked and empty. Again I pause, enjoying for a moment the tranquillity of this remote place, before scooping gulps of cool mountain water from a nearby spring. There only remains some easy flat trail to the end of my run, and a hitch hike back down the valley to the point where I began a memorable 60km (2000m climb) of mountain running hours before. 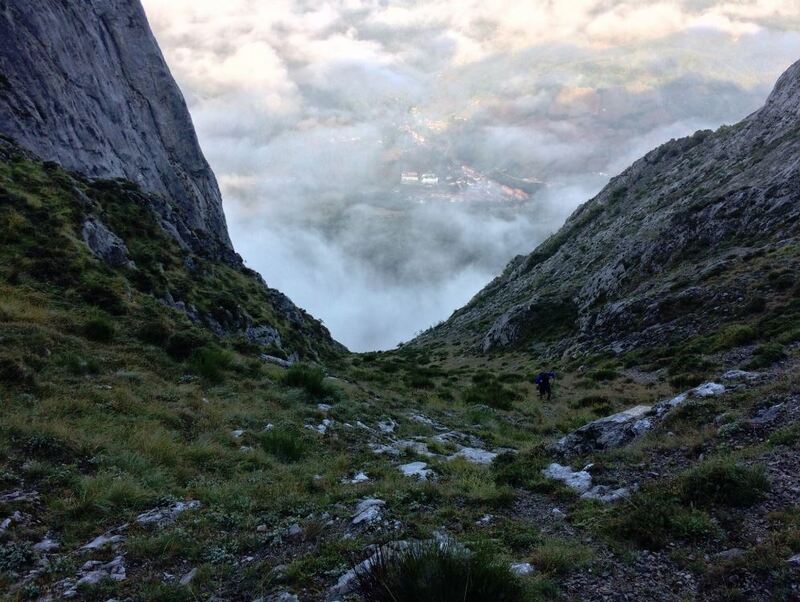 This entry was posted in Running, Valles del Oso and tagged Asturias, CORDILLERA CANTABRICA, long distance running, mountain running, mountains, Quiros, Spain, trail running, Valles del Oso on April 28, 2016 by admin.